Konzert-News!!! Am 29.08.2009 wird Michel Montecrossa and his band The Chosen Few mit dem ‘Viking Spirit‘ Cyberrock & Climate Change Concert Michel Montecrossa in der Omnidiet Hall of Fame (also Open-Air!) auftreten. Das ‘Viking Spirit‘ Cyberrock & Climate Change Concert wird von 21:00 – 24:00 Uhr gehen. Michel Montecrossa live @ Spirit of Woodstock Festival 2009 – Next video!! Hi!! Hier ist das zweite ‘Spirit of Woodstock Festival 2009 – Video’ – Michel Montecrossa Cyberrock 4 ever!!!! The ‘Living On A Planet’ Cyberrock & Climate Change Concert, released by Mira Sound Germany as double Audio-CD and DVD is Michel Montecrossa’s thirteenth concert of the Courage & Love Climate Change Concert Tour 2009 presenting 25 songs, including the title song ‘Living On A Planet‘, the visionary ‘Space Age Drive Of Tomorrow‘ and the tender futurist songs ‘Open Window‘ and ‘Lovesong‘. Mirakali and Diana Antara contribute message songs like ‘Free Land‘ and ‘Wonders Of Earth‘. Michel Montecrossa’s ‘Living On A Planet’ Concert was performed during the Mirapuri World Peace Festival 2009. 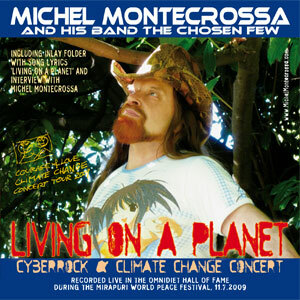 Das als Doppel Audio-CD und -DVD erhältliche ‘Living On A Planet’ Cyberrock & Climate Change Concert von Michel Montecrossa bietet 25 Topical Songs, darunter u.a. ‘Living On A Planet‘, das visionäre ‘Space Age Drive Of Tomorrow‘ und die gefühlvollen Futurismus Songs ‘Open Window‘ und ‘Lovesong‘. Mirakali und Diana Antara singen Message Songs wie ‘Free Land‘ und ‘Wonders Of Earth‘. 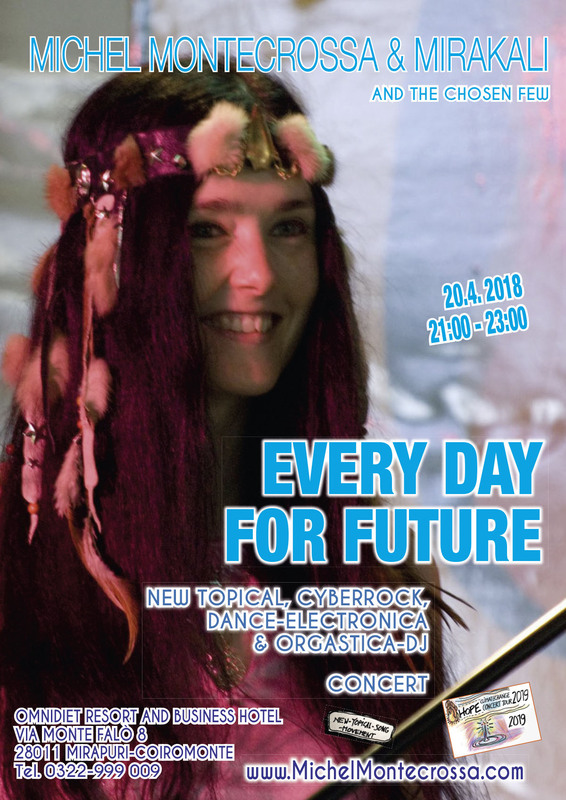 Die von Mira Sound Germany veröffentlichte Produktion ‘Living On A Planet’ Cyberrock & Climate Change Concert ist die Live-CD von Michel Montecrossa’s dreizehntem Live-Konzert seiner aktuellen ‘Courage & Love Climate Change Concert Tour’. Hi!! Hier ist das erste ‘Spirit of Woodstock Festival 2009 – Video’ – so kommt ihr auch in den Genuss der diesjährigen Festival-Atmosphäre; Cyberrock at its best!!!! Michel Montecrossa at the Spirit of Woodstock Festival 2009 – first pics!! Hier die ersten Konzertbilder von Michel Montecrossa’s Performances beim ‘Spirit of Woodstock Festival 2009 – Cyberrock 4 ever!!!!!!!!!!!!!!! !